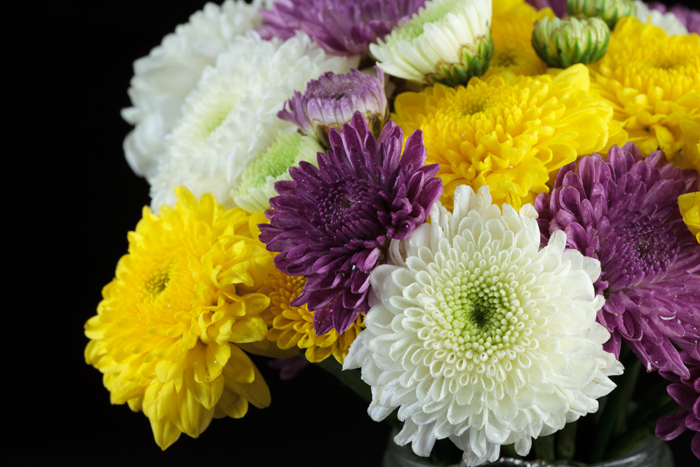 Chrysanthemums are the classic fall flower, one that extends a garden’s beauty long after the summer blossoms have faded away. Available in an incredibly vast array of colors, shapes and sizes, mums offer so many ways to dress your home and garden with a truly personal touch. Best of all, if you care for them the right way, they’ll come back every year. Ready to paint your gardens with a brilliant rainbow of mum-tastic color? Follow these selecting, planting and nurturing tips from HGTV, and enjoy your chrysanthemums this season, and for many autumns to come. This entry was posted on Thursday, October 22nd, 2015 at 3:40 pm and is filed under Outdoor Living. You can follow any responses to this entry through the RSS 2.0 feed. You can leave a response, or trackback from your own site.